Homes for sale in Pine Valley are special. Mostly because there aren’t many of them. There aren’t many because Pine Valley isn’t that big. 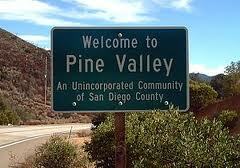 No, Pine Valley is, in fact, a very small town. It is a quiet town. A town where stillness rules the day and time seems to slow to a drip. You can pass a whole day and by the time night comes you can feel like you’ve already spent an eternity there. Some people don’t like that about Pine Valley. Some people like the rat race. Some people think Pine Valley is simply too slow. Well, those people just don’t belong in Pine Valley. No sir. Walking in downtown Pine Valley you feel you could be anywhere in anytime in the last one hundred years. It’s the kind of town that was started by people who were actively trying to “get away”. It almost makes you feel guilty for finding them. However, once you’ve actually spoken to the locals you’ll see quick how charming and warm they all are. Pine Valley residents are as sweet as the fresh air that fills it’s streets. 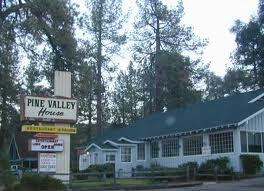 What may come as a surprise to most home buyers looking to buy a house in Pine Valley are the kind of houses available. I know I make Pine valley sound like a rustic cabin community, but this is no Alpine, CA. Not at all. The homes for sale in Pine Valley are nicer than you might think and are filled with more modern luxuries than you would believe. Not that the homes here aren’t affordable. This is no hoity toity ski lodge community either. Nope. This is just Pine Valley. A home to good people. Now there are no foreclosures, but you will find the odd Short Sale in Pine Valley. So if you’re willing to bid for a home and aren’t afraid to go toe to toe with other bidders than that may be the route you want to go. More than Likely though. you’ll just find exactly what you need here. Peace and quiet and a new gorgeous place to call your home. This is filed under Neighborhood Trends.